Here are the radio listening headlines from the RAJAR release for Q4 2018. All statistics are for weekly listening unless otherwise stated. 48.4 million (88%) adults listen to radio every week, 65% of adults listen to commercial radio. Commercial Radio remains ahead of the BBC for an eighth consecutive quarter with a weekly reach of 35.6 million. The BBC’s figures have decreased slightly both quarterly and yearly, now with a weekly reach of 34m. The networked stations have again reported strong reach, as listening figures have continued to stay well into the millions; Heart Brand 9.7m, Capital Brand 8.3m and Kiss Network 5.6m. Dave Berry Breakfast continues to be the national breakfast champion, with 2.2m listeners tuning into the Absolute Network breakfast show. Kiss comes in second, with 1.8m national weekly listeners. In the battle for London’s breakfast, Capital’s Roman Kemp reclaims the number one title with 915,000 weekly listeners. Ricky, Melvin and Charlie leave Kiss Breakfast with 806,000 weekly listeners. Virgin Radio sees highest listening hours ever, ahead of Chris Evans moving over from BBC Radio 2. Bauer’s most recent rebrand Hits Radio has performed strongly. The network boasted an audience of 6.2m, whilst the flagship transmitter, formally known as Key 103 reported 271,000 listeners. Digital listening continues to grow with 63% of adults tuning into digital radio (through a DAB, DTV, Online or App) every week. In an average week, we listen to 527m hours of digital radio: DAB has a 73% share of digital listening hours, DTV 9% and Online 18%. 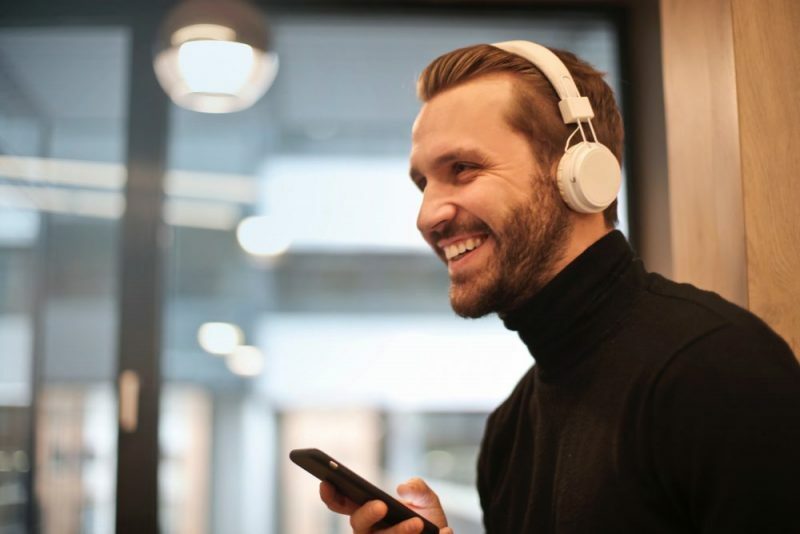 The share of all radio listening via a digital platform now stands at 52.6%, this is the fourth consecutive quarter of digital listening beyond 50%, which was crucial for the digital switchover. Breaking this down further, 53.9% Commercial Radio is listened to digitally vs. BBC’s 51.5%. In the digital-only chats, Kisstory continues to lead the way with 1.8mweekly listeners (slightly down from 2.2m last quarter). 80s music continues to be the most popular decade of choice, with Absolute 80’s1.5m and Heart 80s 1.3m. Looking at how we listen, 27% of adults listen to the radio via a mobile phone or tablet once a month. This figure increases to 35% when looking at people aged 15-24. In an average week, 68% of all adults listen at Home, 65% in the car (or other modes of transport) and 22% listen at work or elsewhere.